We are one of the leading trader and supplier ofEN 10088-1 Sheet Plate. 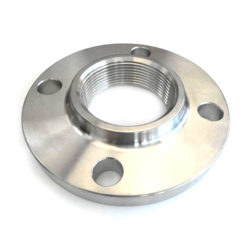 We are one of the leading manufacturer, supplier and exporter of Stainless Steel Pipe Flange. Stainless Steel Pipe Flange:- ASTM A182 / A403 & ASME SA182 / SA403 WP 304/ 304L/ 304H/ 316/ 316L/ 317/ 317L/ 321/ 310/ 347/ 904L/ etc. We Aesteiron Steels Pvt Ltd, are one of the Leading, manufactures & suppliers of Stainless Steel Welded Flange. Aesteiron Steels is Stainless Steel Lap Joint Flanges Manufacturers & Suppliers. 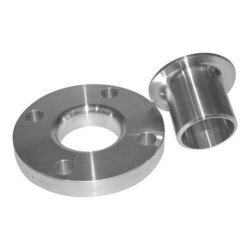 Stainless Steel Lap Joint Flanges slide directly over the pipe & are most commonly used with stub end fittings. A pipe is usually welded to the Stub End & the Lap Joint Pipe is free to rotate the stub end. The benefit of this is that there will be not any issues with bolt hole alignment. Stainless Steel Lap Joint Flanges are usually used for applications that require frequent dismantling. 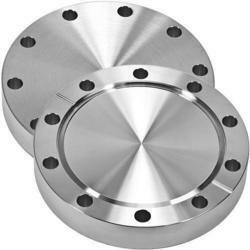 ASTM A182 F201 Lap Joint Flanges, ASTM A182 F202 Lap Joint Flanges, ASTM A182 F304 Lap Joint Flanges, ASTM A182 F304L Lap Joint Flanges, ASTM A182 F304H Lap Joint Flanges, ASTM A182 F316 Lap Joint Flanges, ASTM A182 F316Ti Lap Joint Flanges, ASTM A182 F316H Lap Joint Flanges, ASTM A182 F316L Lap Joint Flanges, ASTM A182 F316LN Lap Joint Flanges, ASTM A182 F309S Lap Joint Flanges, ASTM A182 F309H Lap Joint Flanges, ASTM A182 F310 Lap Joint Flanges, ASTM A182 F310S Lap Joint Flanges, ASTM A182 F310H Lap Joint Flanges, ASTM A182 F317 Lap Joint Flanges, ASTM A182 F317L Lap Joint Flanges, ASTM A182 F321 Lap Joint Flanges, ASTM A182 F321H Lap Joint Flanges, ASTM A182 F347 Lap Joint Flanges, ASTM A182 F347H Lap Joint Flanges, ASTM A182 F904L Lap Joint Flanges. Aesteiron Steels is a Stainless Steel Slip On Flanges Manufacturers & Suppliers. It is manufactured with an inside diameter that is slightly bigger than the pipe outside diameter. These attachments are connected to the pipe via fillet weld at the top & bottom of the flange. Stainless Steel Slip On Flanges is typically provided with a raised of flat face. ASTM A182 F201 Slip On Flanges, ASTM A182 F202 Slip On Flanges, ASTM A182 F304 Slip On Flanges, ASTM A182 F304L Slip On Flanges, ASTM A182 F304H Slip On Flanges, ASTM A182 F316 Slip On Flanges, ASTM A182 F316Ti Slip On Flanges, ASTM A182 F316H Slip On Flanges, ASTM A182 F316L Slip On Flanges, ASTM A182 F316LN Slip On Flanges, ASTM A182 F309S Slip On Flanges, ASTM A182 F309H Slip On Flanges, ASTM A182 F310 Slip On Flanges, ASTM A182 F310S Slip On Flanges, ASTM A182 F310H Slip On Flanges, ASTM A182 F317 Slip On Flanges, ASTM A182 F317L Slip On Flanges, ASTM A182 F321 Slip On Flanges, ASTM A182 F321H Slip On Flanges, ASTM A182 F347 Slip On Flanges, ASTM A182 F347H Slip On Flanges, ASTM A182 F904L Slip On Flanges. 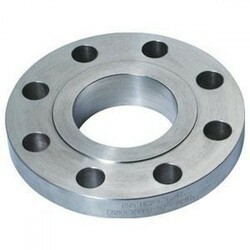 Aesteiron Steels Pvt Ltd is one of the leading trader and supplier of Stainless Steel Plate Flanges. 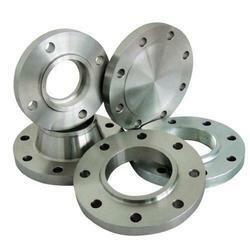 Aesteiron Steels Pvt Ltd is one of the leading trader and supplier of Stainless Steel Flanges. We Aesteiron Steels Pvt Ltd, are one of the Leading, manufactures & suppliers of Stainless Steel Forged Flanges. ASTM A 182 F- 304, 304L, 304H, 316, 316L, 316LN, 316Ti, 309, 310S, 317L, 321, 347, 410, 420, 440C, 202 Etc. ASTM A 403 WP- 304, 304L, 304H, 316, 316L, 316LN, 316Ti, 309, 310S, 317L, 321, 347, 410, 420, 446, 202 Etc. Weld neck Flanges (WNRF), Slip-on Flanges (SORF), Blind Flanges (BLRF), Lap Joint Flanges (SOLJ), Socket-weld Flanges (SWRF), Screwed (Threaded) Flanges, Long weld neck Flanges (LWNRF), Spectacle Blind Flanges, Spacer & Blind Flanges, Ring Type Joint Flanges (RTJ), Reducing Flanges, Raised Face (RF) Flanges, Orifice Flanges, Large Diameter Flanges, Custom Flanges, Drawing Flanges, Forged Flanges, Plate Flanges, Flat Face Flanges, etc. 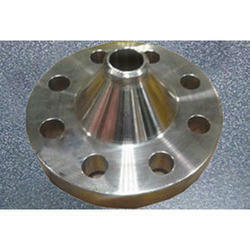 Aesteiron Steel, is Stainless Steel Threaded Flange Suppliers & Exporters. It is normally designed for low pressure non cyclic applications. 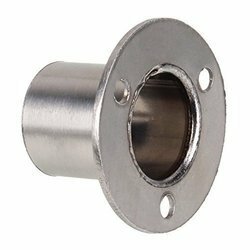 Threaded flange can be attached to the pipe without welding & it is also applicable in high voltage areas where welding is hazardous. ASTM A182 Threaded Flange; ASTM A182 F304 Threaded Flange, ASTM A182 F304L Threaded Flange, ASTM A182 F304H Threaded Flange, ASTM A182 F310 Threaded Flange, ASTM A182 F310S Threaded Flange, ASTM A182 F316 Threaded Flange, ASTM A182 F316L Threaded Flange, ASTM A182 F316Ti Threaded Flange, ASTM A182 F317 Threaded Flange, ASTM A182 F321 Threaded Flange, ASTM A182 F321H Threaded Flange, ASTM A182 F347 Threaded Flange, ASTM A182 F347H Threaded Flange, ASTM A182 F904L Threaded Flange. 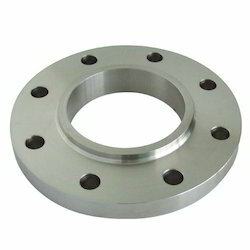 We are one of the leading manufacturers, suppliers and exporters of Stainless Steel Spectacle Flange. Stainless Steel Spectacle Flange Grade:- ASTM A182 / A 240& ASME SA182 / SA 240 WP 304/ 304L/ 304H/ 316/ 316L/ 317/ 317L/ 321/ 310/ 347/ 904L/ etc. 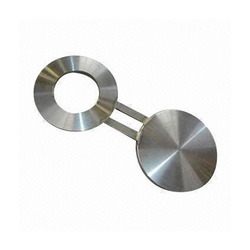 We Aesteiron Steels Pvt Ltd, are one of the leading manufactures & suppliers of Stainless Steel Blind Flange. We Aesteiron Steels Pvt Ltd, are one of the Leading, manufactures & suppliers of SS Flange.